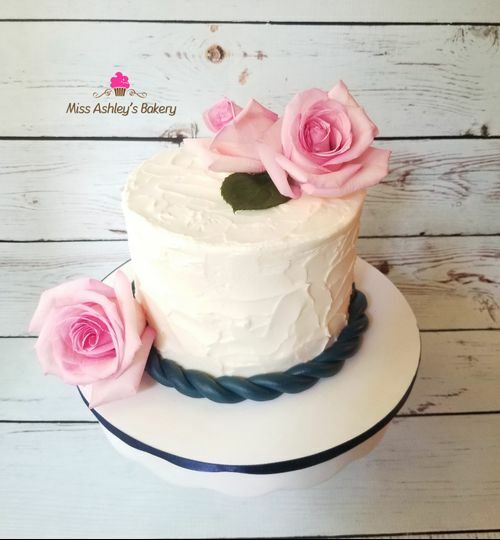 Miss Ashley's Bakery is a licensed home-based business located in Beaufort SC. 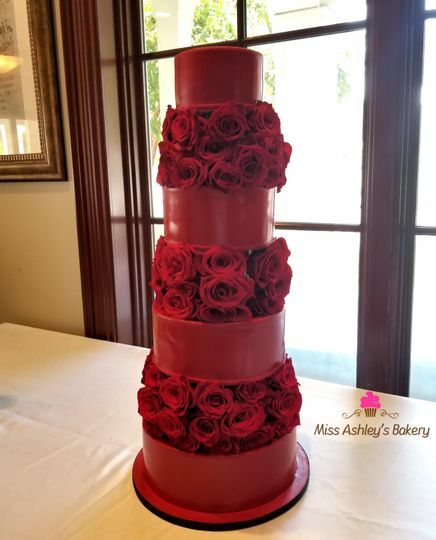 Miss Ashley's creates custom cakes for weddings, groomsmen, bridal shower, bachelorette parties, bachelor parties, anniversaries, birthdays, baby showers, etc. 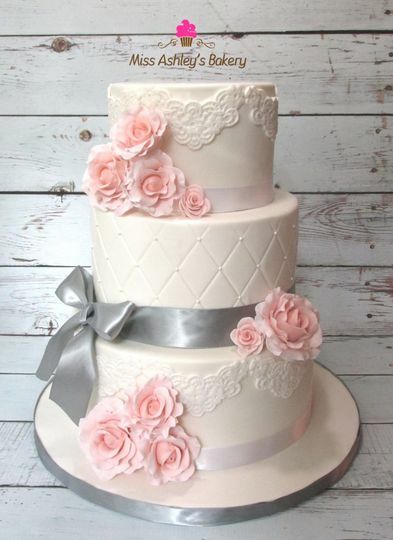 Every cake is a piece of art uniquely made for you! I make everything from scratch and use the best ingredients available! 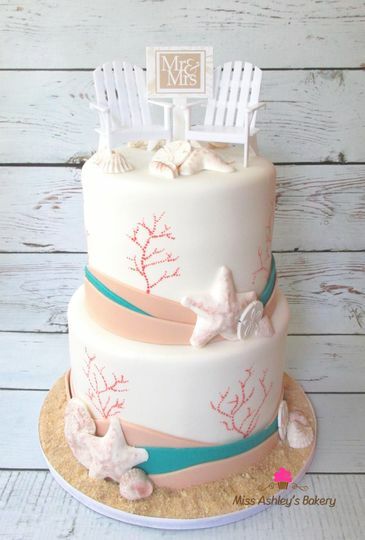 Miss Ashley's also provides cupcakes, cakepops, cookies, macarons, and other treats. If there is an item or flavor you do not see listed, then feel free to ask if we could provide that item for you. I am also Servsafe certified! Send me a message if you have any questions! 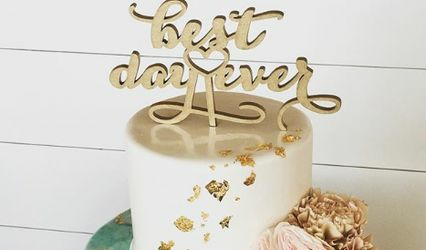 if anyone in the planning process expierenced bridezilla it was miss ashley. I provided and cloth sample in the color of the bridesmaids dresses, like 4 pictures, and poor directions (which I changed 5 billion times). she literally made exactly what I invisioned. Furthermore, it tasted great!! Miss Ashley was outstanding! 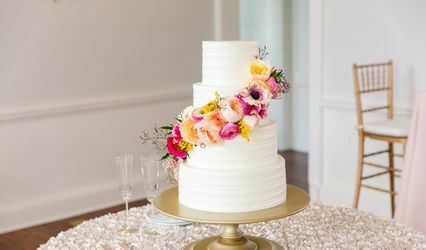 It was no question that we would be using her for our wedding after doing our cake tasting with her! 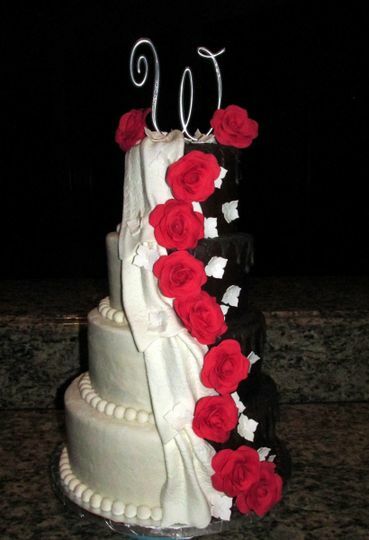 Her cakes are so delicious, moist, & well put together! 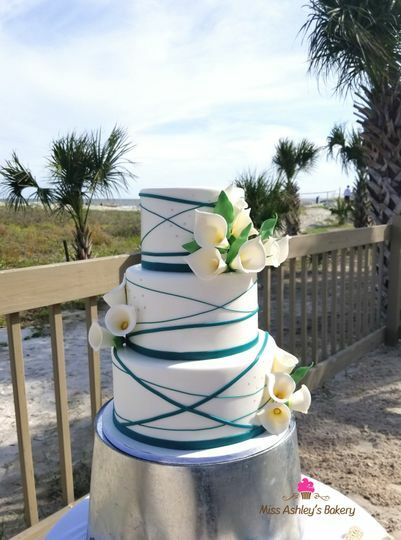 Our cake was gorgeous! 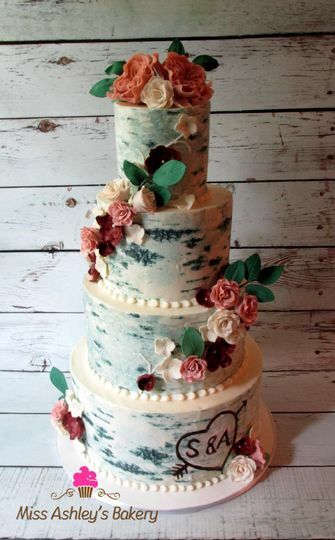 We had sent her color pallets of our wedding colors & our decorations on the cake matched perfectly! 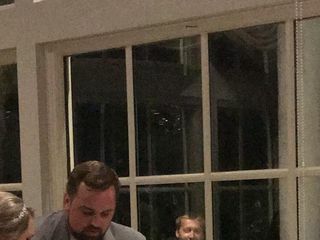 It was everything we had asked for and more! 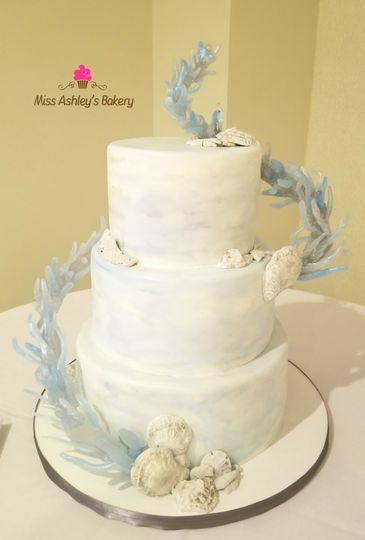 I will recommend Miss Ashely's Bakery to anyone who gets married in the Beaufort area! Amazing! 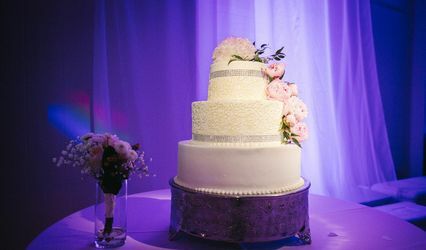 We had a beautiful cake that everyone loved! 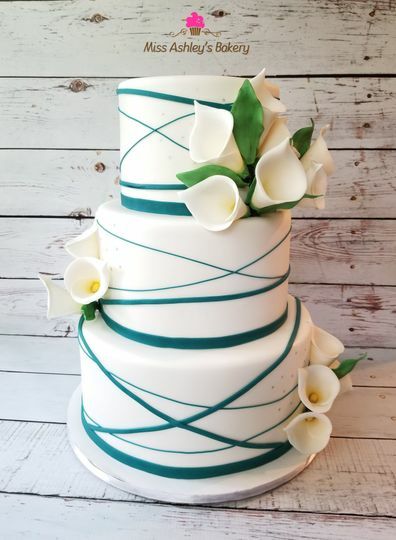 So easy to work with highly recommend for any occasion.